Kids these days have a clap back that's stronger and more feisty than some adults. 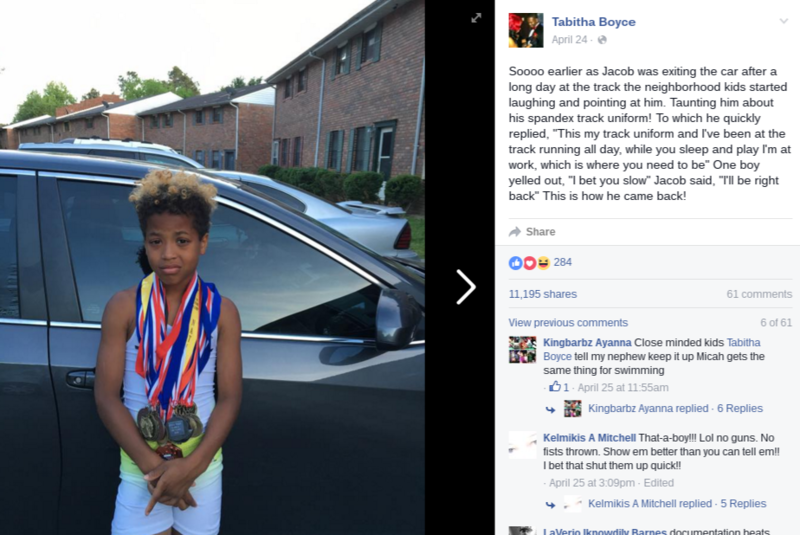 Jacob exhibited that fact when he let his credentials do the talking for him, after a few kids in the neighborhood made some comments about his track uniform. Somebody call Birdman and let him know that this is how you make your presence known. The next time somebody tries to come for young Jacob, they better remember to put some respect on his name. Otherwise he might have to run up on 'em. photo: gifsec Have a funny story about a kid whose clapback was as strong as Jacob's? Tell us about it in the comments.